Saw that earlier today LOL. Once you join the big boys club you have to play by big boy rules. I tend to think he was never as delusional as the rest of the gang. They have it on their stadium... I'm embarrassed for their fans and I don't even like them. This was spearheaded by Danny White. Caution: I love his attitude about the theP5. I Iove that he wants to have the conversation about going to a 16 game playoff or 8 team playoff. He’s making good noise. 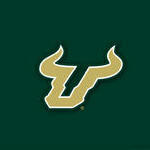 On the contrary I have spoke to Mark several times and I thinks he’s not as “concerned “ with where USF is at the moment. He’s not advocating like Danny White. Now, I like Mark, don’t get me wrong but I want a bigger place at the table. The delusional gnats are only embarrassing themselves by claiming something that no one outside of Oviedo acknowledges, including the head coach who was in charge. The Horned Frogs did everything you could have asked. They went 13-0, led the nation in scoring defense, beat top-10 Utah by 40 points, won the Rose Bowl, and thoroughly dominated their conference. This, plus I think UCF was just a means to an end for him. Some might say the same thing about USF and Taggart but why hold up the charade now?